I'm happy to announce a new partnership for providing interpreted theatrical performances. Profile Theatre will be offering an interpreted performance for each of their main stage productions in 2013. We are discussing adding interpreted performances for all of their productions next season. "...Each year, we feature a single playwright, giving our audiences the opportunity to enter the writer’s world for a full season – to experience each play as part of a flowing dialogue, seeing the important connections that help us to grow and learn and understand. We believe that live theater begins with the playwright’s words...."
This season's playwright is Athol Fugard. Below is a brief introduction, and there is more information about him and his work on Profile Theatre's website. 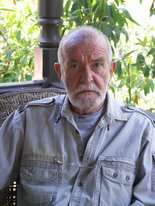 "South African writer Athol Fugard is one of the most prolific and oft-produced playwrights in the world. He has worked in the theater as a playwright, director, and actor in South Africa, England, and the United States for over fifty years. As a playwright, his works have received critically acclaimed runs on Broadway, in London, and at The Fugard Theatre in Cape Town. He has been seen on stage in South Africa, London, Broadway, off-Broadway, and in regional theater in the U.S. In June 2011 he received a Lifetime Achievement Tony Award." Mark the dates on your calendar and watch for more information as the dates near. I have also added these performances to the PAIA calendar, which you can check out on the calendar page. If you're a Google calendar user, it also gives you the option to add the event to your own calendar. I'm excited to be working with Profile Theatre in providing accessible performances. And I look forward to adding more of their offerings in the future.